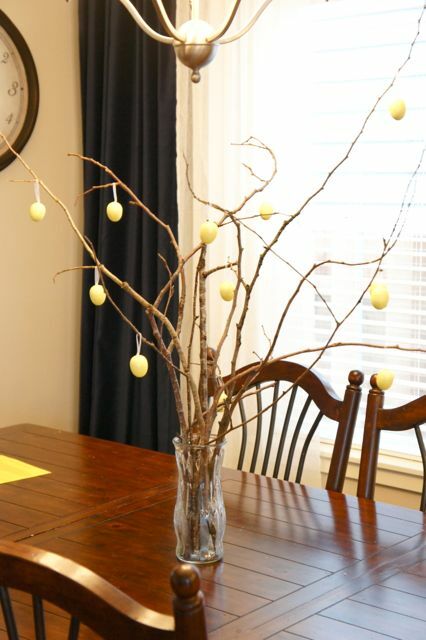 So I actually feel semi-successful in decorating for Easter! (That means that I decorated more than just the mantel.) 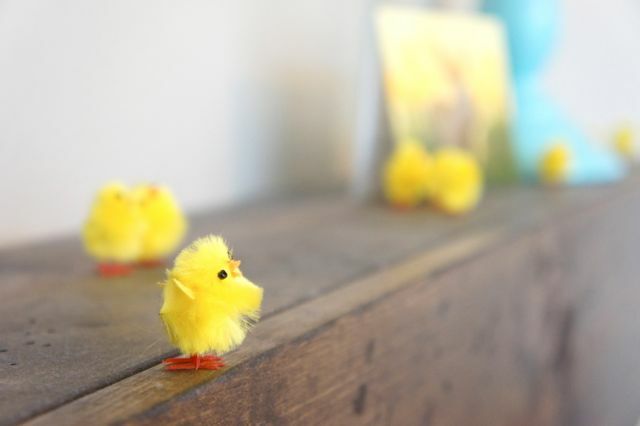 I have my homemade peep bunny banner up in the entry...that looks significantly better than the pictures of it in our little California apartment, peep light strand over the kitchen window, little chickies from World Market on the mantel (oh, I love them! ), and egg ornaments from Home Goods on some branches I collected last night. This weekend will be a big one, between Easter Egg hunt(s!) on Saturday, birthday party for my 6-year-old, arrival of new couches, actual Easter, and actual birthday party. It's going to be great!